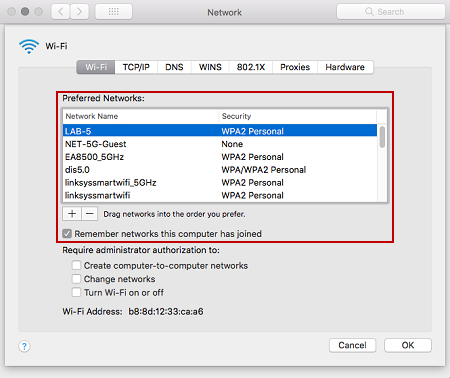 This article will show you how to connect your Mac® computer to the wireless network. To learn how to check these settings on router, click here. 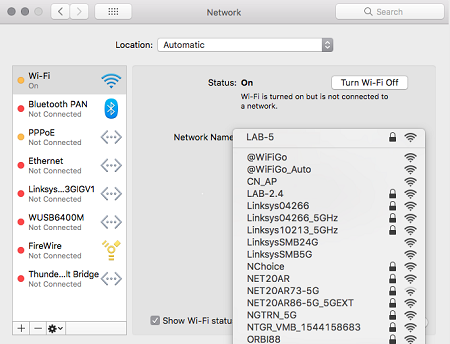 QUICK TIP: When connecting your Mac computer to a home Wi-Fi, it's recommended to add it to your Preferred Networks list. To learn how, click here. On the desktop, click the AirPort/Wi-Fi icon, then select the Wi-Fi name (SSID) you want to connect to. When required, enter the Wi-Fi password then click Join. 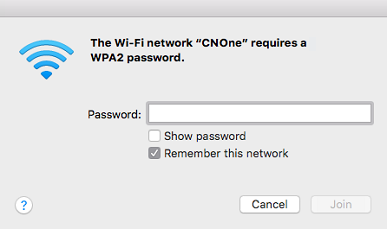 QUICK TIP: Check the Remember this network option if you want your Mac computer to remember this Wi-Fi network and automatically connect to it once the computer is in range. When you see this icon at the menu bar, it means you've successfully connected. If you still have trouble connecting to the Wi-Fi, click here for troubleshooting tips. If you're having difficulties accessing some websites when connected to your Linksys router, click here. 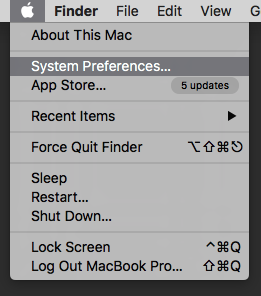 On the desktop, click on the Apple icon, then select the System Preferences… option. 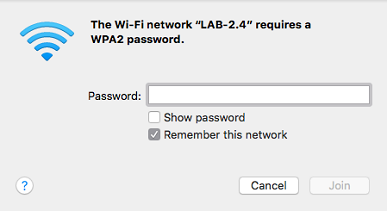 Select Wi-Fi from the left pane, click the Network Name drop-down menu, then select the Wi-Fi name you want to connect to. NOTE: Depending on your Mac version, Wi-Fi might display as AirPort. You should have now successfully connected to the Wi-Fi. On Network preferences, click the button. Select the network you want to add on your Preferred Networks list then select Remember networks this computer has joined. NOTE: For Mac versions 10.6 (Snow Leopard) and earlier, the Wi-Fi section/tab is shown as AirPort. Once the selected network has been added to your preferred list, you can connect to this network automatically when it is in range.